The prospect of having to take pharmaceuticals to control a chronic disease is motivating, and the diet you mention — Dietary Approaches to Stop Hypertension (or, as it's more commonly known, the DASH diet) — is an excellent overall eating plan. It’s also one of the few diets that have been clinically tested and shown both to lower already-elevated blood pressure and reduce the risks of developing high blood pressure. The DASH diet can offer a viable and healthy alternative to medication. The DASH diet came out of a landmark national study conducted by researchers with support from the National Heart, Lung, and Blood Institute (a division of the National Institutes of Health). The study tested specific nutrients (and nutrient combinations) for their effects on blood pressure. Findings indicated that a diet rich in fruits, vegetables, and low-fat dairy products, and low in total fat, saturated fat, and cholesterol, was beneficial in lowering elevated blood pressure. And the effects of this diet were swift: Within two weeks, some study participants experienced a substantial reduction in blood pressure. A few were even able to discontinue their blood-pressure medication altogether. Follow-up research went one step further, comparing the typical American diet (generally high in sodium, fat, and saturated fat, and lower in potassium, magnesium, and calcium than the study diet) to a low-sodium DASH diet. Not surprisingly, the low-sodium DASH diet reduced blood pressure even further. The keywords in DASH are variety and moderation; as a result, the diet sidesteps both meal boredom and dietary extremes. Eat more fruits, vegetables, and low-fat dairy foods to boost your intake of potassium, magnesium, and calcium (this is the backbone of DASH). Choose nuts, fish, and poultry for protein sources low in saturated fat. Consume a variety of whole grains. Choose whole-wheat flour, brown rice, and whole oats, and buy breads and cereals with “100 percent whole grain” on the label. Limit foods high in saturated fats: fatty cuts of beef, veal, lamb, and pork, full-fat dairy products, and foods rich in palm and coconut oils (common in processed snack foods). Minimize sodium-rich foods that are processed, pickled, cured, or smoked, as well as convenience foods (snack foods, pre-packaged meals, and canned foods). Use less salt when cooking and at the table. To find the exact number of servings recommended for your calorie range and what constitutes an actual serving of food, check out the DASH guidelines. Click through to "A Week With the DASH Eating Plan" to see a week of daily menu suggestions, which illustrates how relatively easy it is to follow DASH guidelines. [%adInject] Don’t panic if the number of servings appears to be unattainable. DASH calls for about nine servings of fruits and vegetables per day (the average American gets about three servings per day), which, scattered throughout the day, is not as hard as it first appears. For example, if you have a serving of fruit at every meal and at snack time, you’re up to four fruits. A salad at lunch or dinner that includes a half cup of romaine lettuce, a small tomato, a grated carrot, and half a cuke yields five servings of vegetables. Voilà_ — nine servings of fruit and vegetables! If you feel discouraged, remember that your current dietary habits took a lifetime to develop; the best approach for making changes is one meal (and one snack) at a time. Include fruit at breakfast, a fruit and vegetable at lunch and dinner, and at least one produce serving with all snacks. Keep fresh fruit on the kitchen counter and nuts in the cupboard for your go-to snacks. Replace non-nutritive drinks (such as diet soda) with non-fat (skim) or low-fat (1 percent) milk. 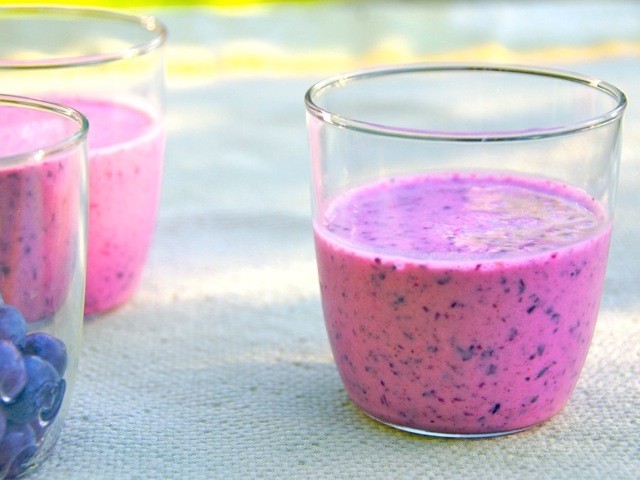 Enjoy yogurt and fruit smoothies for an excellent snack (or breakfast in a pinch). Double the vegetables and add less meat in stir-fries, pastas, and casseroles — or leave meat out altogether. When meat is on the menu, treat it as a condiment and flavor your meals with it rather than putting it at the center of the meal. Roast, broil, grill, or poach your meats instead of frying them. Limit saturated and trans fats (and foods containing them) whenever possible, and use more heart-healthy fats such as olive, flaxseed, and walnut oils. h1.Want to know more about DASH? While you may be able to lower your blood pressure solely by changing your eating habits, you'll gain additional benefits by losing weight (if you are overweight), cutting back on alcohol, and getting regular physical activity. These strategies, combined with the DASH eating plan, are the best tools you have to keep the pharmaceuticals out of your medicine cabinet. And in the process, there’s a very good chance you’ll like the way you feel, too. Please send your nutrition questions to Health+Food@culinate.com.